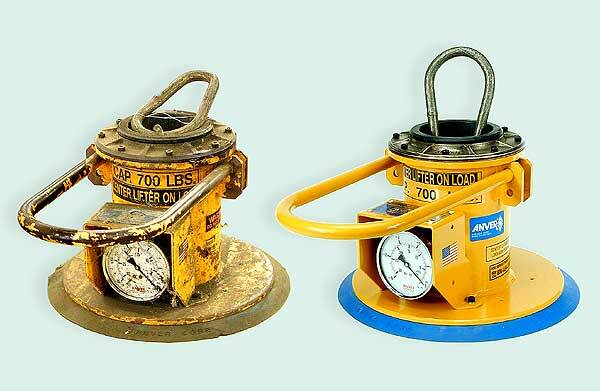 ANVER vacuum lifters are put through a lot over their many years of service. Dings, dents, bends or breaks happen and we understand you want your lifters operating just as they did the first day on the job. 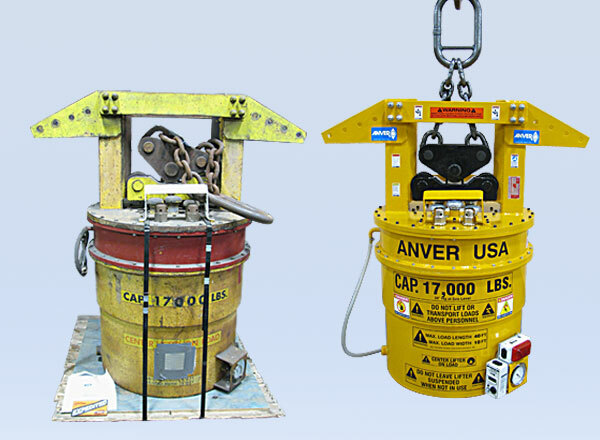 ANVER can help with in-house Vacuum Lifter Repair services to keep your lifters operating like new. 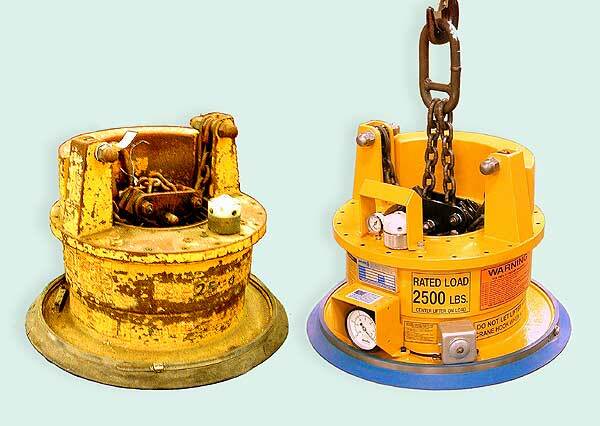 Mechanical, electric or air powered, we take pride in our First-Rate lifter repair work. Call, e-mail or fill out a contact form for assistance. ‘Lifter Identification’ plate. Brief list of issues. 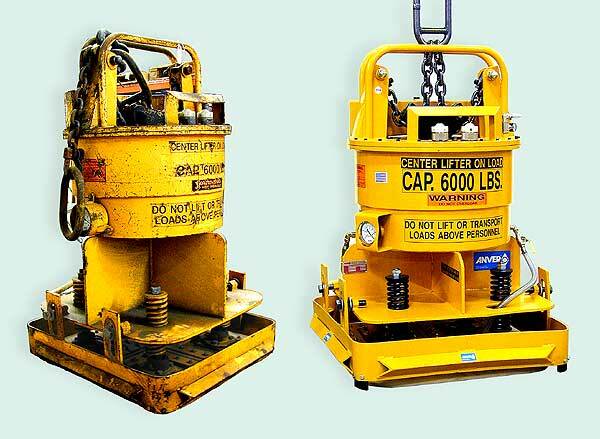 We ask for photos of your lifter first to see if the vacuum lifters condition allows for economical rebuilding. Some lifters are beyond repair, especially if left outside and rusted. After the photo evaluation if your lifter appears worth repairing you will need to send us your lifter freight prepaid. Freight collect shipments will not be accepted. Once a lifter has been received at our facility, it will be given a thorough inspection and repair estimate. Once a lifter is inspected and the repair quote has been provided we need a response within 30 days to repair, return or scrap. We cannot hold lifters for longer than than 30 days after evaluation due to available floor space.